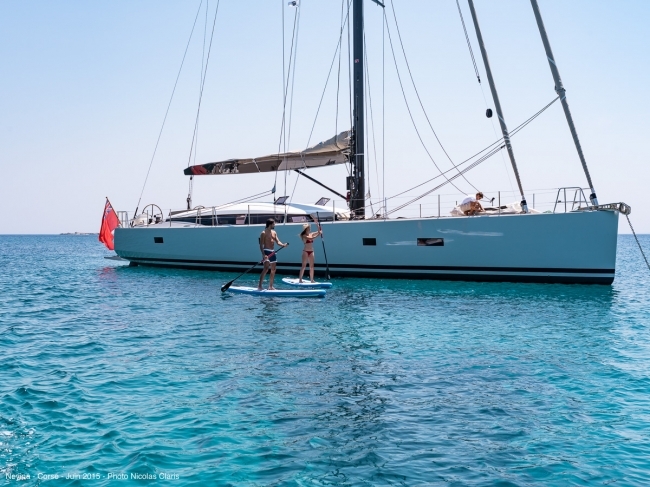 Launched in 2015 Sailing Yacht Neyina is the fifth CNB 76 of her generation. 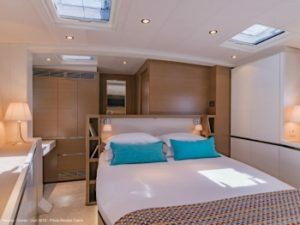 She features racing hull yet incredible comfort during sailing promise delightful sailing in the Mediterranean and Caribbean. 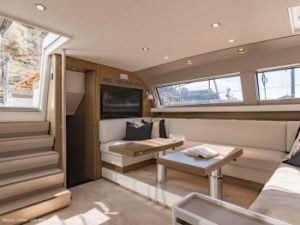 76′ Neyina features a spacious and light saloon with panoramic view. The dining table unfolds to form coffee table for more relaxed lounging. SY Neyina accommodates six guests in the luxury en-suite cabins. The master cabin is large and bright with a queen size bed. One double cabin convertible into two twin beds, and a high/low twin bed cabin with the lower bed convertible into a double bed accommodating two or three guests.